Flat lines, planer boards and downlines. Umbrella rigs and jigging spoons on underwater humps. Use planer board with big baits like 10″ plus trout or 12″ plus shad right up to the banks. Put big baits 4-6′ behind the board to prevent unnecessary snags as the bait will try to swim into logs and blow downs. See fish boiling on the surface throw thread fin size top water lure. Use smaller baits with #6 hooks and 8-12lb leaders and flies behind float balls, on Downlines and Flat lines. Look for loons and diving birds. Be ready to deploy your spread as this time could be quite short over the bait fish. Back of Flat Creek or other southern creeks. On short leaders use 2 beads instead of 1. 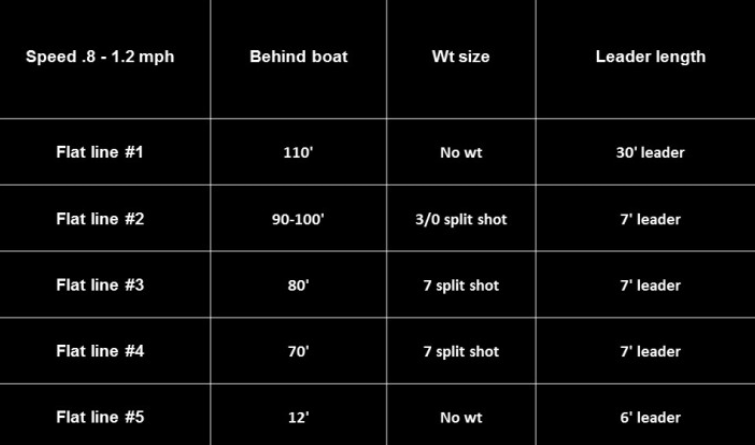 Planer boards: 30-50’ with and without split shot. Also put shad right up on bank. Umbrella Rigs on points if sunny. Top Water baits on points if cloudy. Redfins, any Spook, Super Spook – drag only, shiny Spook – sunny days before lunch. Ben Parker spoon – drop to bottom bring up 10’ stop then 10’ more stop et al. Over trees and in trees. Chestatee River – C1 & C2. Also stripers have been seen on flat bottom in 15-40′ depth. Have Downlines ready and use Ben Parker spoon power reeled or fan-casted will bring school up to boat. 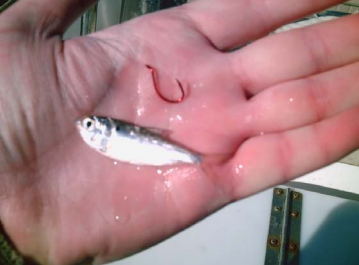 Drop shot herring with 2oz weight. Top water plugs should also be used on surfacing fish. Downlines in large bays from River Forks to Gainesville Marina. Set bait on bottom and crank 2 to 3 turns.